Michael Gray reviews the casual games contender for Game of the Year, 2012. Sure, we here at GameCola voted Journey’s “Don’t Stop Believing” as Game of the Year 2012, but not everyone agrees with us. In the casual gaming circles, the best game of the year was Mystery Case Files: Shadow Lake. Why? There are a few reasons. It has humorous FMV scenes. It’s part of an established series. The company that made the game also tallied the votes. Maybe that last reason is the most important one. Game of the Year? I’m not so sure. Entertaining FMV game? Yes! MCF: Shadow Lake takes place in the abandoned town of Bitterford, Maine. You’ve been hired to investigate what happened, and you soon find out that pretty much everyone in town was possessed by a demon’s horn. They all killed themselves or each other, in an attempt to gain control over the evil relic. Jack: These ghosts were hardened criminals, so I’m going to try a radical new technique. I’m going to try to provoke a response by taunting them with remarks about their manhood. Kelli: I don’t think that’s a good idea, Jack. 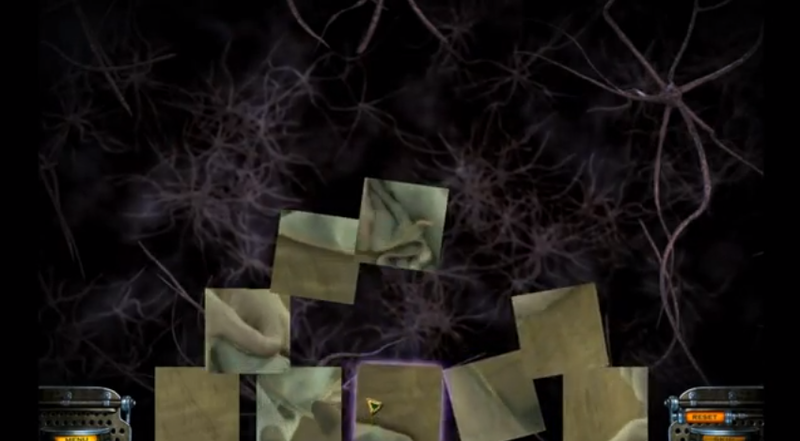 In addition to FMV horror/humor scenes, this game has FMV jigsaw puzzles. So, the FMV in this game rules. What about the non-FMV portions? Well…it turns out that this game is extremely regular, when it comes to its set-up. That is, every chapter follows the same basic formula. You go to a new location and find hidden objects. Then, you solve a series of adventure game puzzles. Then, you match pictures. At the end, you watch an FMV scene which leads you to the next location, and the cycle repeats. Each chapter is a comfortable 15-20 minutes, making the game about two to three hours long. The only exception to the pattern is the Lazy Chapter Five, which is only two screens (with an optional third screen). I’d recommend against getting the Collector’s Edition of this game, which comes with a bonus area that is also three screens long. Five minutes of new gameplay is not worth an extra ten dollars, even with a bonus “making of this game” documentary. The hidden objects screens were tolerable. They tried their best to streamline the process by putting hidden objects in mini-areas. That’s nice, because you have less ground to cover and you won’t waste time looking in the wrong areas. Still, I became well-acquainted with the hint button and the “you clicked too many times” penalty. The adventure game sequences were average-to-good. The best puzzle was the lengthy “start the car” puzzle; the worst was the backtrack-tastic “use the ladder to cross the gap” puzzle, which was repeated three times. No, wait, the worst puzzle was the penultimate puzzle, where you have to put three sets of clues together, in a specific order, with almost no guidance and a false puzzle piece added just to throw you off. I think that puzzle caused pretty much everyone to trip at the finish line. In conclusion, I have no conclusions to make about this game. It’s a casual FMV adventure hidden objects game, and I have no idea which of those four genres is the main genre to talk about. As an FMV adventure game, it’s pretty good. As a casual hidden objects game, I’d say it’s around average gameplay, with graphics that are a cut above normal. Let’s end this review where I started it. Is this Game of the Year, 2012? No, that was The Human League’s “Don’t You Want Me.” Can I safely put it on the Top Ten Games of 2012 list? Sure.